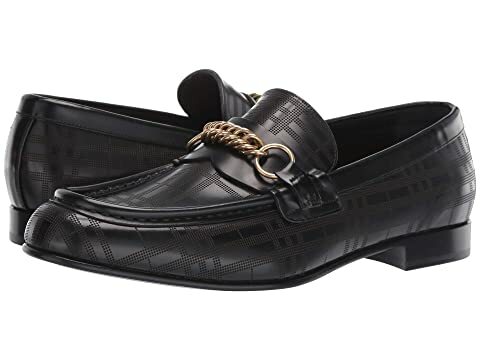 Leather loafers with perforated check pattern. Leather vamp strap with metallic chain accent. We can't currently find any similar items for the Moorley CH Perf by Burberry. Sorry!